Railroad Museum of Pennsylvania | Play Ball! April in the United States marks the opening of baseball season, for both major and minor league teams. So what, you may ask, does baseball have to do with railroading? 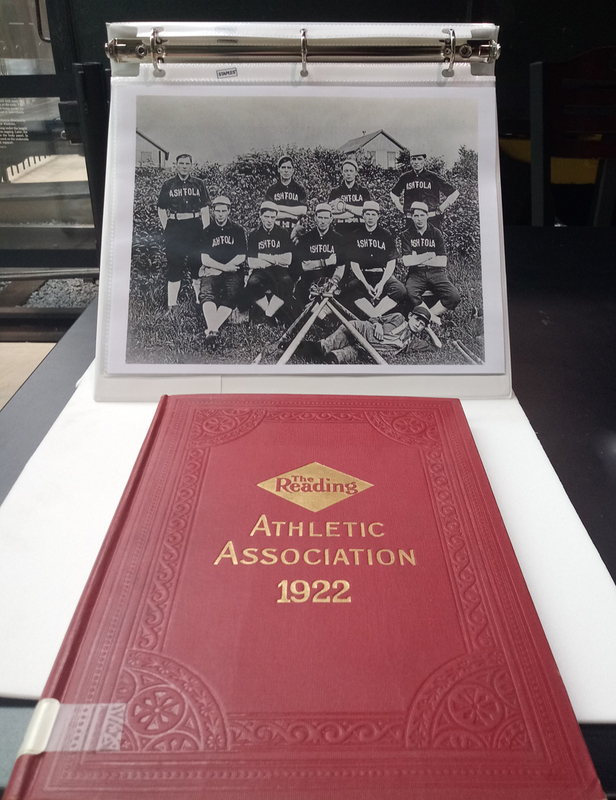 Throughout the late 19th and early 20th centuries, many railroads formed athletic associations for their employees to participate in various sports, build teams and form leagues. These leagues would typically be intercompany, with the general offices staff often playing against the men from the shops. And, before baseball teams traveled around in airliners and luxury buses, they made their way across the nation by rail. Today, many baseball teams take inspiration for their logos or team name from the rich history of railroading, like the Altoona Curve. 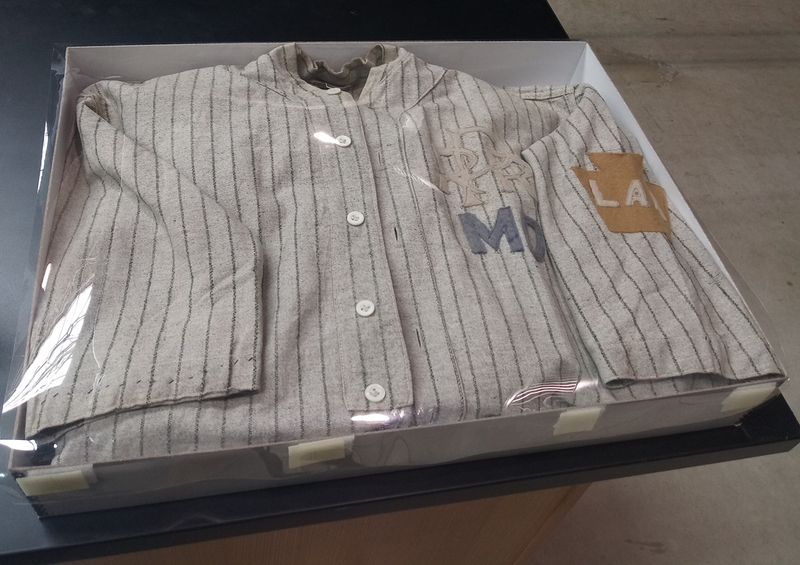 This month’s pop-up display features an authentic, early 20th century jersey from the Pennsylvania Railroad’s Lamokin Athletic Division baseball team, a 1922 yearbook from the Reading Company Athletic Association and various photographs of railroad baseball teams taken from the Museum’s collection of negatives. The pop-up is located on Platform 2 West in the Railroad Museum of Pennsylvania’s Rolling Stock Hall.